My cat’s overweight, but how do I persuade them to exercise? We can all appreciate that obesity is not good for us. 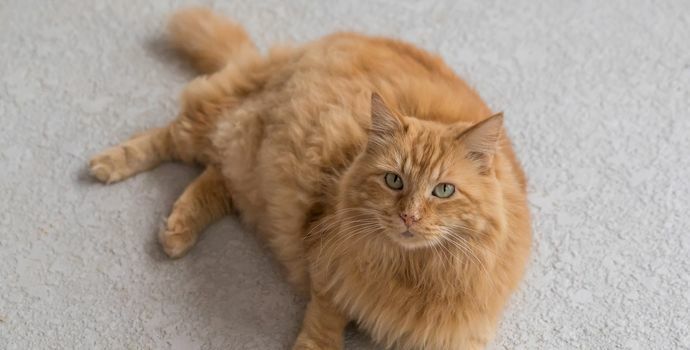 From diabetes and heart disease, to joint problems or depression that comes with not living life to the fullest, and it's no different for our feline counterparts. If you're reading this, you've likely already taken the first step; that is to recognise that your kitty is less than a ‘fitty’ and you want to help them lose a little weight and get the most out of life. Perhaps your cat is already a slim Jim but you want to build that bond between you through play. Whatever the reason, read on for some ideas. Why doesn't your cat play? Answering this question could be the key to unlocking your cat's inner kitten. Are they scared? If your cat's not used to playing and your methods are a little overzealous, you might be putting them off before you've even started. Start gently, and start with toys such as the 'cat tickler' that puts you and them at a distance. Gradually build up the contact without overbearing them with your size and proximity. Are they too tubby to trouble themselves? If your cat’s a little heavier than they should be, they might find playtime hard work. If they play only for moments at a time, you might mistake this for disinterest and stop asking them to play at all. You can see why this then becomes a vicious cycle of inactivity. Start gradually and don't give up! Talk to us also, about the safe way to diet your cat as this will likely speed up the process. Whatever you do, don't crash diet them as this can be detrimental to health. Perhaps your cat is unwell in some other way. If your cat is reluctant to move and play, please contact us to see if there's a medical reason, as this is just one way a cat will tell you something is up with them. Perhaps you just haven't found their preferred way to play yet. Finding the right toy can make all the difference, so try many. From the cat tickler to the battery propelled mouse, to a catnip creature, it's worth a shot. This doesn't even have to be expensive - ever found you've bought a child a present and they're more interested in the packaging? It can be just the same for cats and sometimes a scrunched-up piece of paper proves to be the best thing on earth, in their eyes. Why not try cat shelves, walkways and other obstacles at varying levels? Mimic the environment and activities that your cat would enjoy outside such as climbing trees, tackling fences etc. You might find that by creating the outdoors, indoors they enjoy jumping, leaping and exploring the higher heights of a room. You can even tempt them into doing so with part of their daily ration of food by placing it up high and scattering biscuits on each level. This way, they must ‘work’ for it. If your cat really won't play for the simple enjoyment of playing, perhaps you can entice them with treats. Get the low-fat variety if weight is an issue and ping them about the floor, hide them in different places, anything to get them on the move. Hopefully, you find that you can reduce the treats and play will continue. Why not do this with their daily ration of dry biscuits instead? Make mealtimes something to really look forward to. If you’re at all worried about your cat’s weight, please do get in touch with us. We can advise you on how to help your feline friend lose weight safely, including how much to feed them, and the types and levels of play they’d be most suited to.